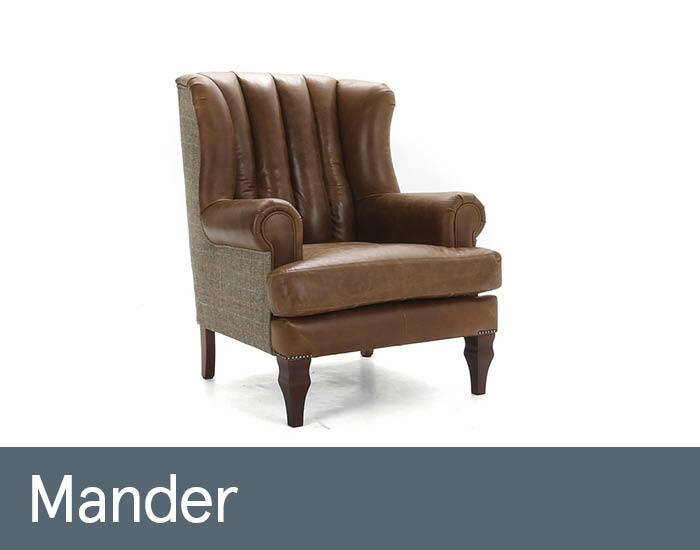 Mander’s subtle winged detail, graceful scroll arms and soft fluted upholstery give it an elegant air of sophistication. Its neat, precise tailoring in a fashionable mix of classic natural leather and heritage woollen tweed will make a welcome addition to any style of living space. Then sit back and relax in luxurious comfort.